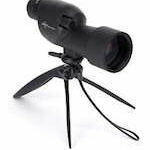 Swift Sport Optics Premier angled spotting scopes are strong optic performer and are unique in their mix of fixed and variable eyepieces. The Premier scopes are surprisingly light and well protected by Swift Optics' SwiftPremier Twenty Five Year Warranty. 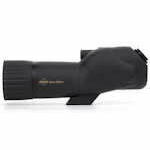 The Swift Sport Optics Reliant spotting scopes are compact scopes only 8 inches long. Although small in size, they're packed with desirable high-end features and comes with a complete kit. All Reliant Series spotting scopes are protected by Swift Sport Optics' 5-Year Warranty.